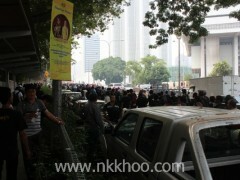 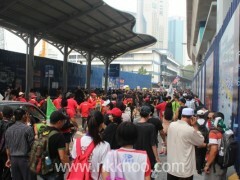 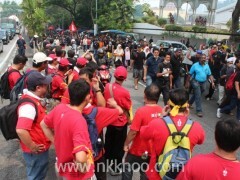 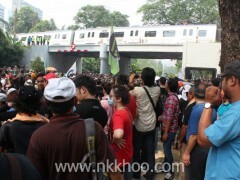 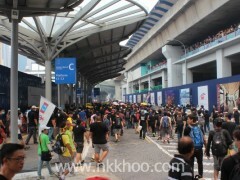 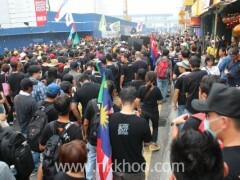 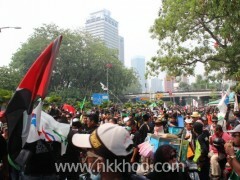 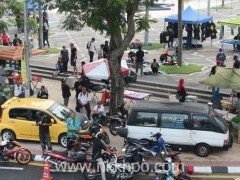 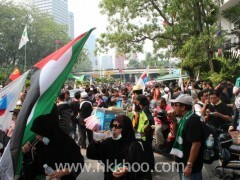 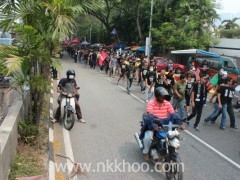 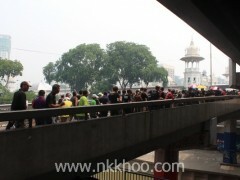 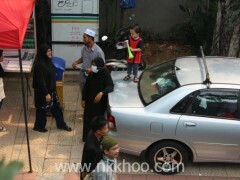 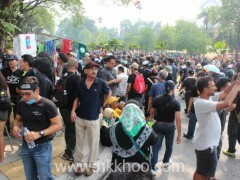 Why 90% protestors I seen in the Black 505 are Malays? 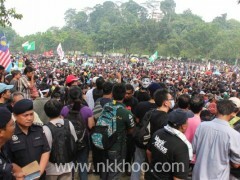 My rough estimate for the rally attendance is 30,000 people in the Padang Merbok and another 5000 to 10000 people are loitering in the adjacent road. 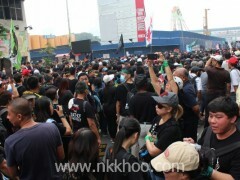 The attendance size is quick small for PR standard, I believe many people are fatigue after too many rallies in the last month. 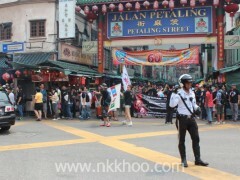 Most protesters in the gathering point in Jalan Petaling are Chinese, but their number is quite small, it’s estimated less than 2000 people. 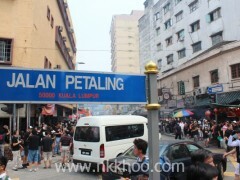 I think I know how to differentiate a Malay and a Chinese as a local folk. 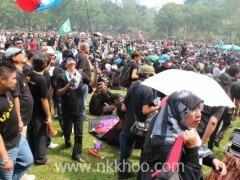 My rough estimate is 90% protesters in the Blackout 505 rally are Malays, the rest is Chinese, Indians and others. 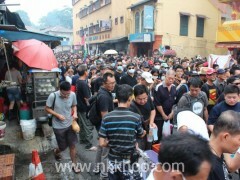 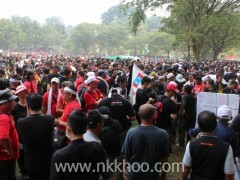 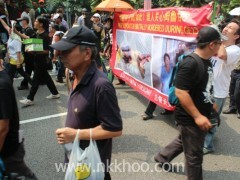 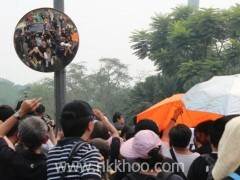 Mahathir and his running dogs are barking on PR blackout rallies are mainly (more than 90%) attended by Chinese. 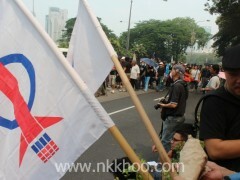 UMNO and its master can twist anything to condemn Chinese as the culprit for BN losing 2/3 majorities. 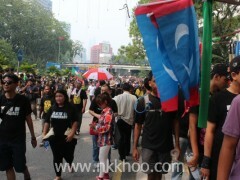 Mahathir dan kucu-kucunya mestilah rabun jauh, anak Melayu disalah anggap sebagai anak China. 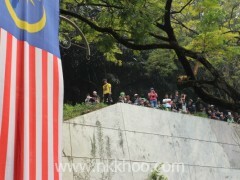 90% peratus pahlawan-pahlawan tunjuk perasaan di Black 505 adalah orang Melayu jikalau mata saya tidak condong. 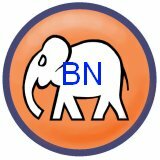 Semua fakta-fakta boleh diputarbelit oleh Mahathir dan kucu-kucunay untuk menyalahkan orang Cina menbuat kacau di perhimpunan awam. 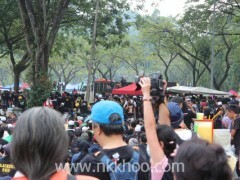 I have stopped taking photo when I noticed the person making speech on the pick up is Wang Teck to save my battery energy for other photos. 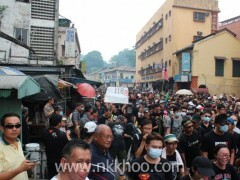 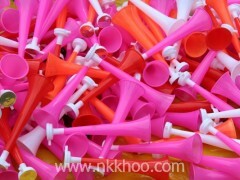 He condemned SPR was cheating in Bentong, but he never bring the fraud case to court. 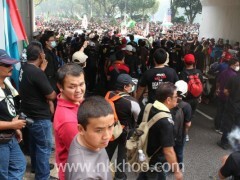 This is like I accuse you are cheating my money, but no making police report against you. 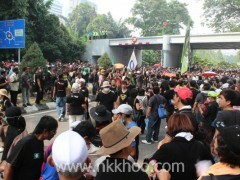 His supporters even created power blackout story on the day. 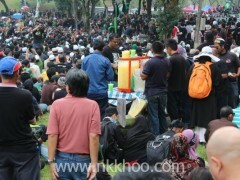 This is the credibility of a top leader in Green movement in Malaysia? 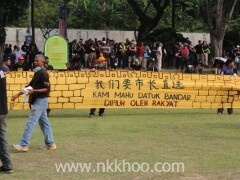 Do not forget he is a mole planted by DAP to control Green Movement.